You're planted at the computer. While you take root, listen to some very good new music. (And cleanse your brain of that awful sheep ringtone.) Michael Penn's new cd, "Mr. Hollywood Jr., 1947" will be released on August 2nd. Hear it now, streaming in QuickTime, courtesy of Spin Art Records. Then, come August 2nd, buy it. You will not regret it. 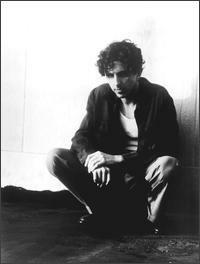 Eventually, I will convince you all to go buy Michael Penn's music. Go now and listen. Enjoy.